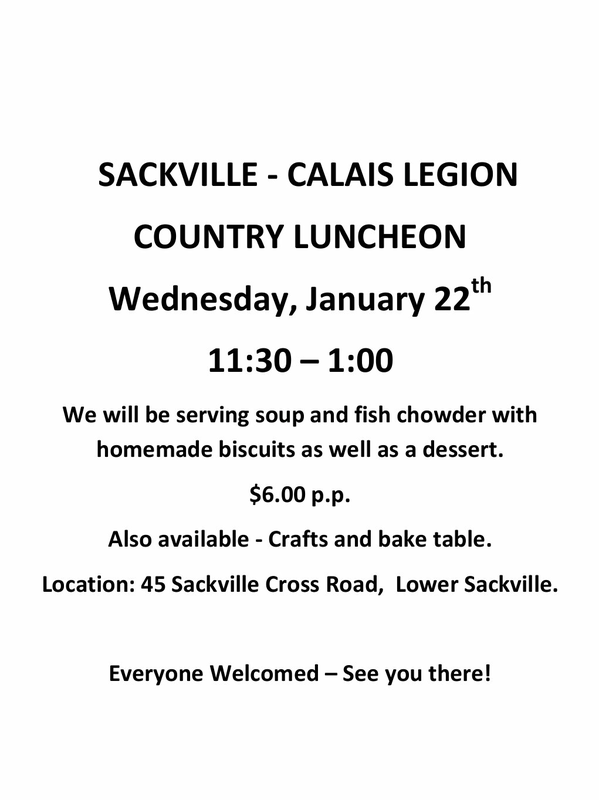 Country Luncheon At #Sackville – Calais Legion Comin’Up! | Sack-Vegas!!!! Country Luncheon At #Sackville – Calais Legion Comin’Up! Here ya go, sounds yummy! These types of events are a great way to get out in the community and meet some people. Mark your calendar! Posted by Sacky on January 4, 2014 in Community Events.